One of the ways scientists can study neutrinos effectively is by making intense neutrino beams using particle accelerators. 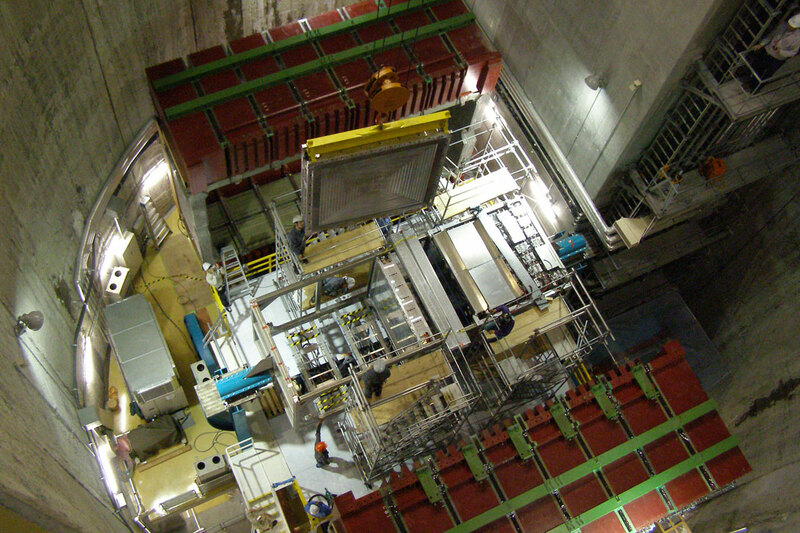 The process uses proton accelerators, and only a few places in the world can manufacture such intense neutrino beams: The Japan Proton Accelerator Research Center (J-PARC), the European Organization for Nuclear Research (CERN), and the United States Department of Energy’s Fermi National Accelerator Laboratory. 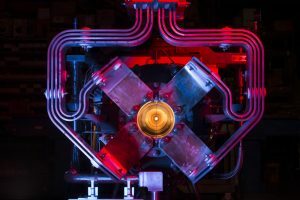 The neutrinos produced in accelerators are typically muon neutrinos, and the machine can be tuned to create either neutrinos or antineutrinos. To make a beam, scientists begin with protons (usually from a bottle of hydrogen gas). These batches of protons are accelerated close to the speed of light before they are smashed into a target, often made of beryllium or graphite. The collision creates new particles, including a short-lived particle called the pion. 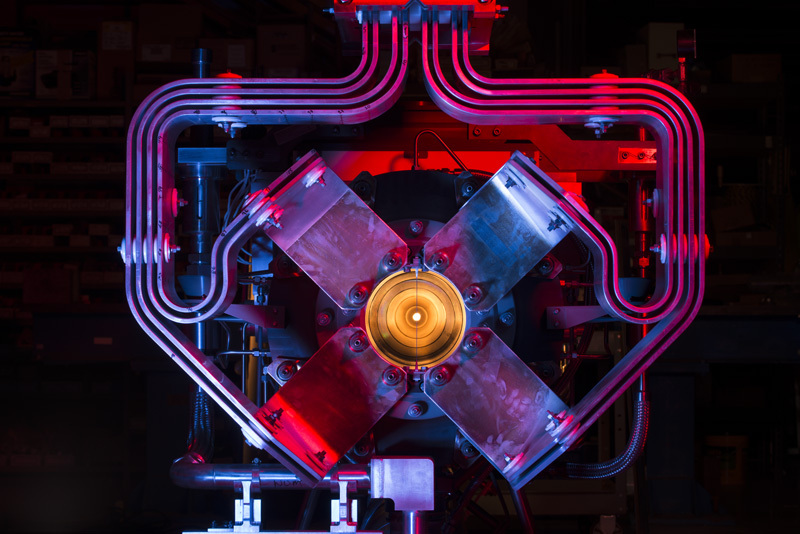 Pions have charge, a property that allows scientists to use magnets to steer and focus them. 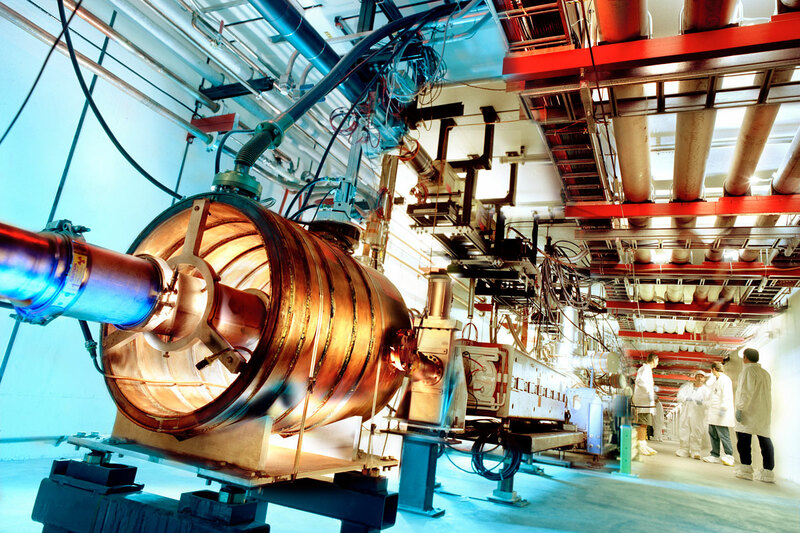 In fact, by using magnets to select positively or negatively charged pions, operators can control whether the beam is made primarily of neutrinos or antineutrinos. As they head toward a detector downstream, the pions begin to decay, producing neutrinos (or antineutrinos). Big blocks of aluminum, steel, or concrete absorb the other particles that get produced, while slippery neutrinos slide through easily. 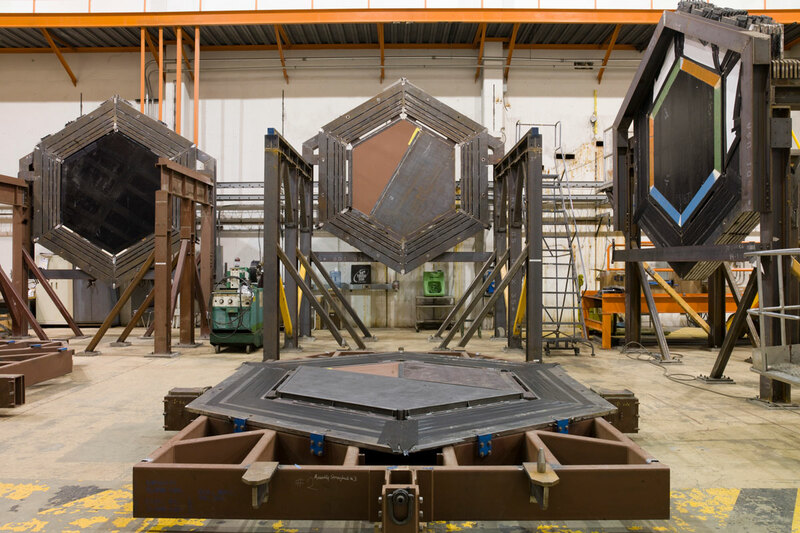 A neutrino beam is born! 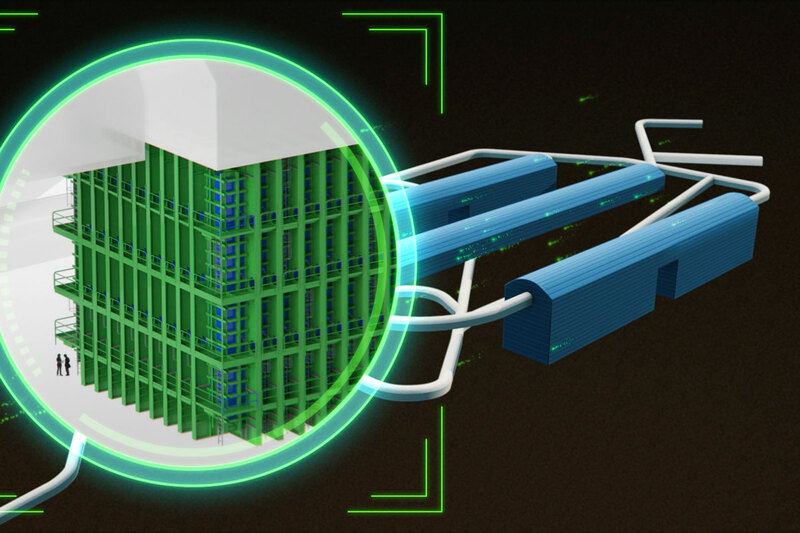 Neutrino beams can be used for two different kinds of experiments, distinguished by how far away the detectors are from where the neutrinos are made. 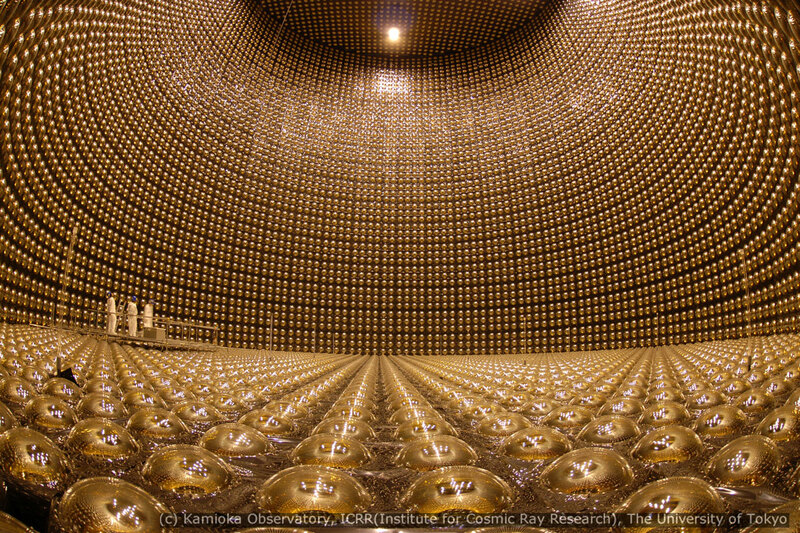 When the neutrinos travel a short distance to the detectors—that is, when the detectors are positioned close to the beam’s source—it is called a short-baseline neutrino experiment. 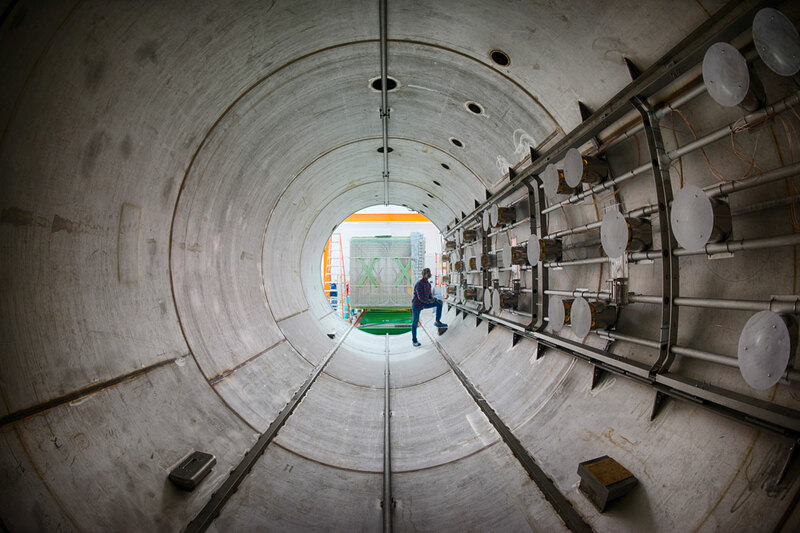 When they travel far, it’s a long-baseline neutrino experiment. 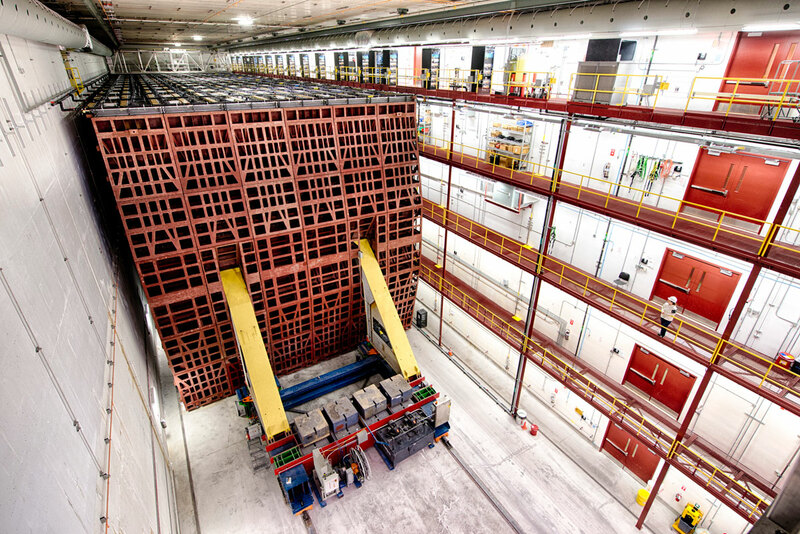 Each type of experiment has its strengths when it comes to learning about neutrinos. A neutrino beam, much like a flashlight beam, spreads out as it travels. 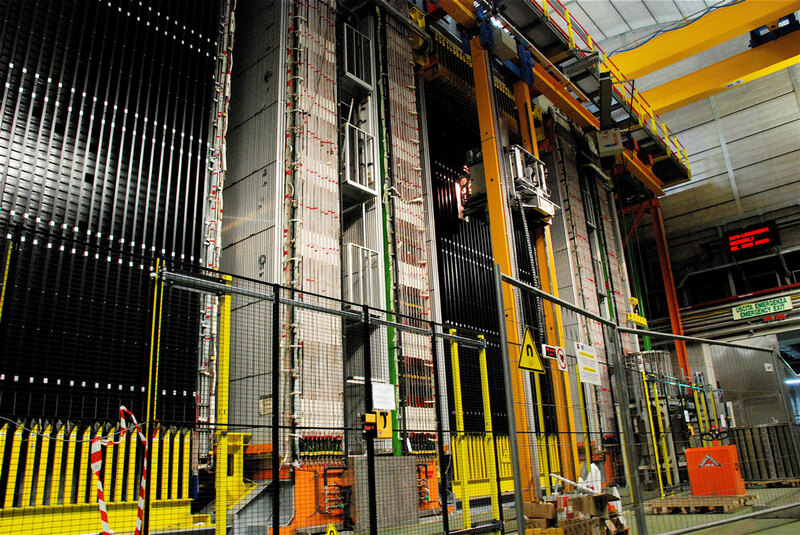 Short-baseline experiments sit close to the source of neutrinos, so the beam is very concentrated when it reaches the detector. This means a much higher number of neutrino interactions with a very pure neutrino beam. It’s good for characterizing the beam (checking how many neutrinos are in the beam and what energy they have) and learning about the neutrinos before they really have a chance to oscillate, or change flavors. It’s also a good place to hunt for sterile neutrinos and see how neutrinos interact with other particles. 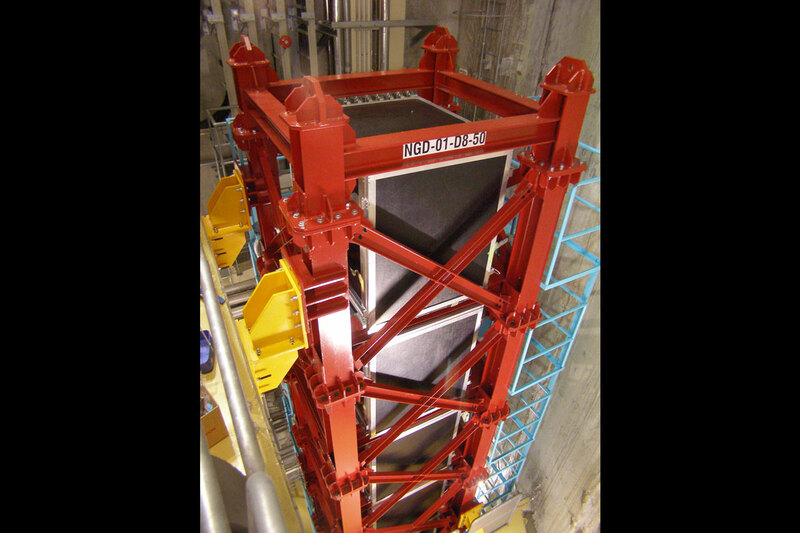 Some examples of short-baseline experiments include ND280 in Japan and MicroBooNE, MINERvA, ICARUS, and the Short-Baseline Near Detector at Fermilab. Long-baseline experiments, however, focus on the oscillations that travel great distances through Earth. Sending a beam through a few hundred miles of rock means neutrinos have a lot of chances to interact with matter and sufficient distance to change flavors (even though the trip takes only fractions of a second, since neutrinos move close to the speed of light). 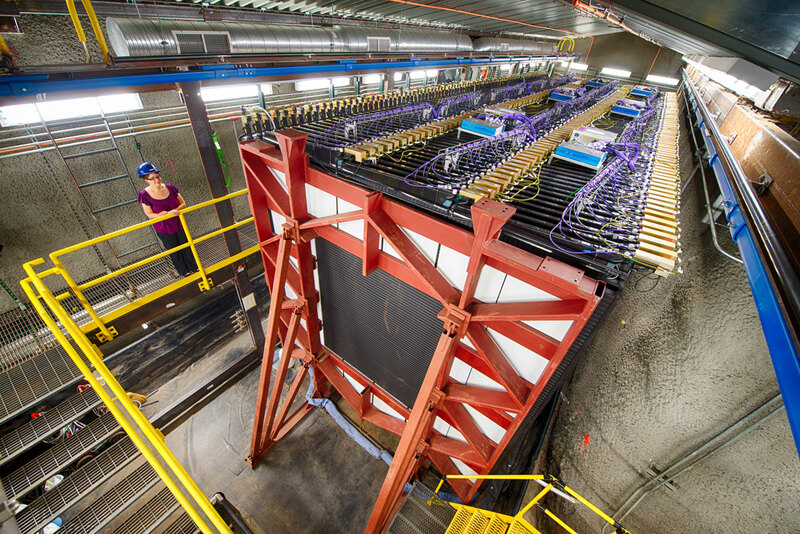 Oscillation studies can help researchers figure out which of the three neutrinos is heaviest or lightest and what kind of symmetry neutrinos and antineutrinos have. 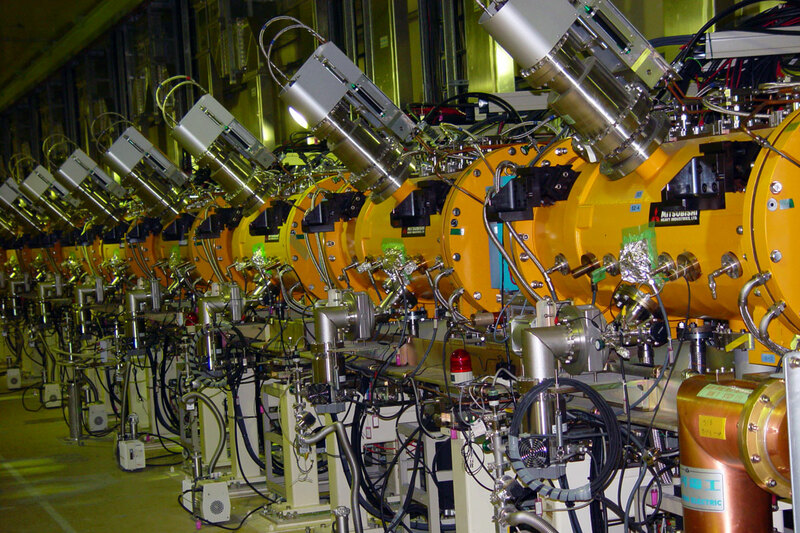 Some examples of long-baseline experiments include T2K and Super-K in Japan and NOvA and DUNE at Fermilab. 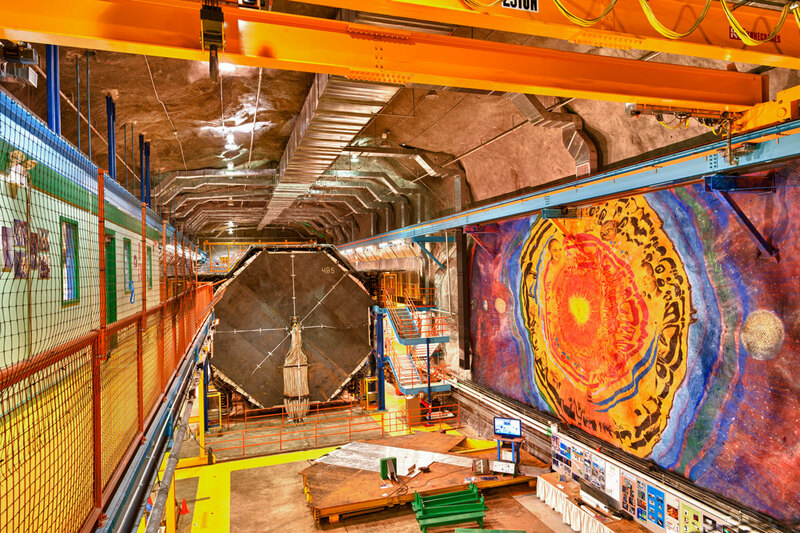 Most long-baseline experiments also incorporate a near detector close to the neutrino source to measure the particles before they have a chance to oscillate. 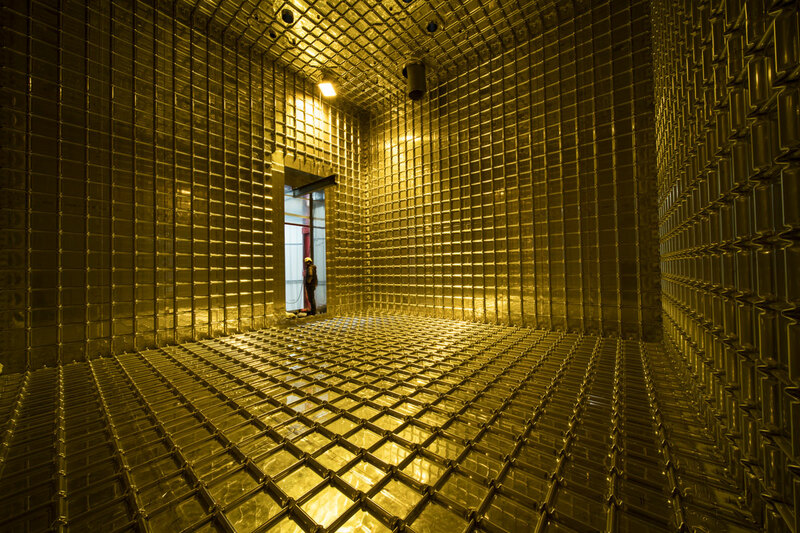 Curious what detectors see when they are sitting in the neutrino beam? Check out the live data coming from NOvA’s near and far detectors.